Just to keep track of what quilts went where this Christmas. Based on the list below, the boys were neglected this year and will likely be getting quilts next year. They'd probably prefer a swiss army knife. 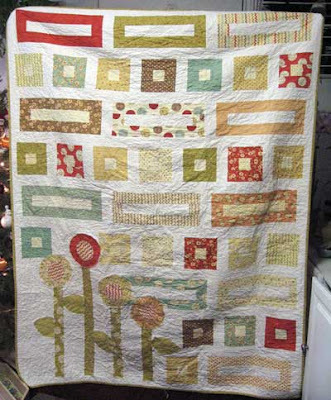 Per her request using the I'm Blushing quilt pattern by Natalina Bonner of Piece N Quilt and using the Whimsy fabric line from Moda. 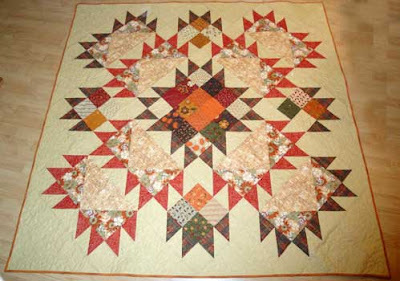 The back was pieced using the remaining fat quarters and could be a quilt itself. 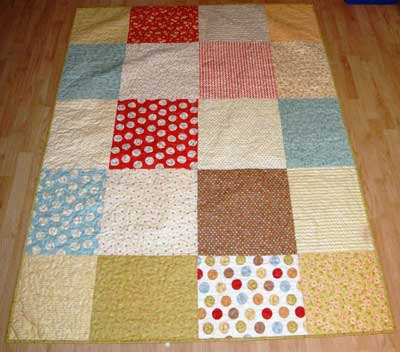 Using Gobble, Gobble line from Moda and fabric from my swap partner for Stash Manicure's Brown Bag Quilt challenge. The pattern is Nice Day by Carrie Nelson from her book Schnibbles Times Two. Using a bunch of brown and blue fat quarters from my stash to match her home decor and using the disappearing nine-patch block plus some improvisation to make the quilt large enough to be used as a throw quilt. 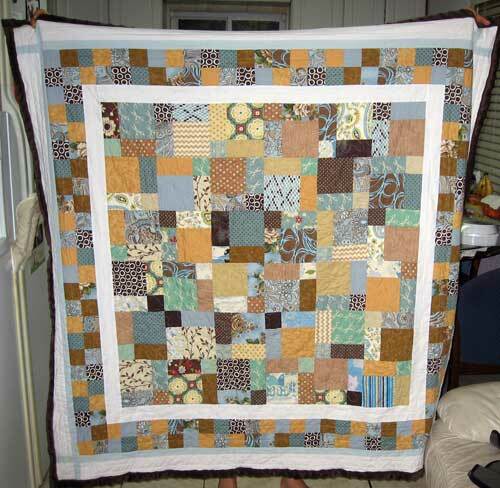 Backed in plush brown fabric. 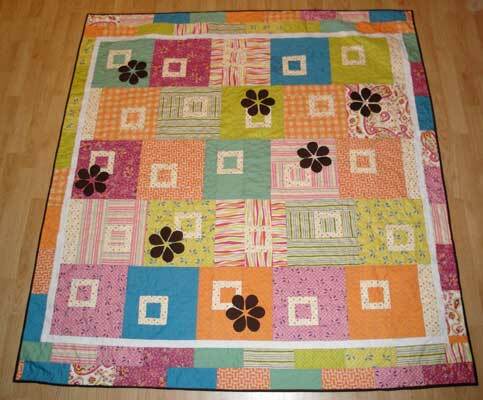 Made from fat quarters from my stash and using the pattern Sweet Pea by Heather Mulder Peterson of Anka's Treasures. 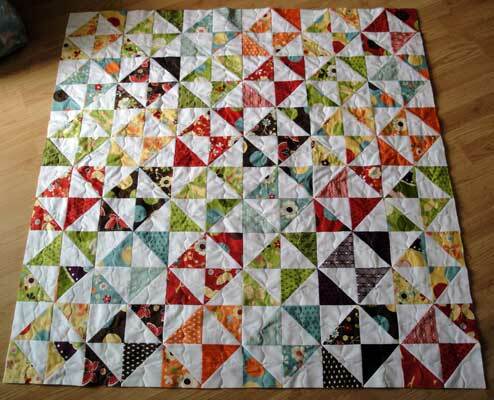 I think the back is even better than the front and was a result of simply playing with the scraps. 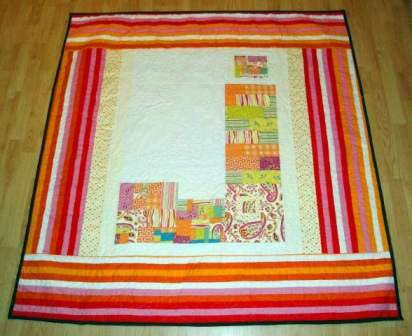 Made from fat quarters from my stash and following the pattern New Wave by Elizabeth Hartman of Oh, Fransson! 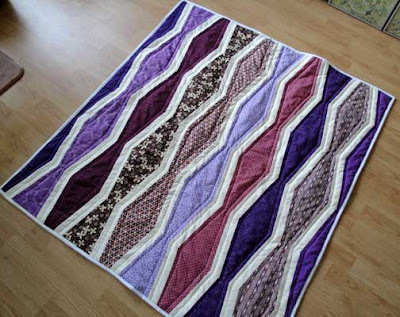 The friend's daughter's favorite color is purple (although that may have changed by the time she got the quilt). Backed in plush white fabric. Using the Freebird collection from Moda. The basic block is the traditional quilt block Broken Dishes. The quilt needed to be playful, but not too obviously girly.